Kindle owners, watch what you click on! 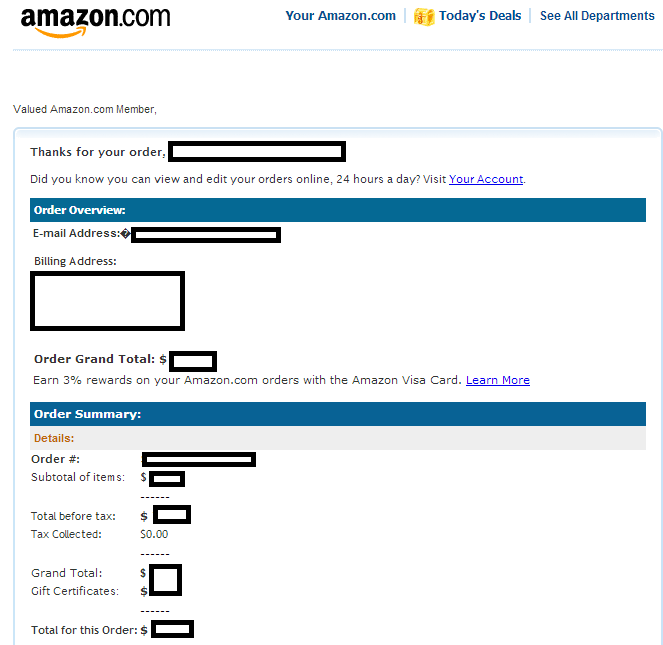 Cybercriminals are currently attempting to trick Kindle owners into thinking that they’ve received a receipt from an E-book purchase from Amazon.com. In reality, when users click on any of the links found in the malicious emails, they’re automatically exposed to the client-side exploits served by the Black Hole Exploit Kit. Upon successful client-side exploitation, the campaign drops MD5: 13d23f4c1eb1d4d3841e2de50b1948cc – detected by 7 out of 46 antivirus scanners as UDS:DangerousObject.Multi.Generic.